My most recent post How to Swim Distance Freestyle as Easily as Breaststroke highlights an aspect of swimming that’s nearly universal. Far more people can swim a relatively long distance — 200 to 1500 meters or more — in Breaststroke and relatively few can do so in Freestyle. The main reason for this is that we swim breaststroke in an ‘unbalanced’ position that almost matches the natural equilibrium of the human body in water. Because our legs are dense – mainly muscle and bone, not much fat – they tend to be drawn downward by the force of gravity. Our torso has large empty spaces – the lungs and digestive tract – filled with air and liquid., and thus is pushed up by the force of buoyancy. So the lifting-to-breathe rhythm of breaststroke is assisted by our natural position in water. In freestyle, our most efficient position – constant horizontal balance — is a counterintuitive and exacting skill that requires focused, patient practice to master. And – as terrestrial mammals – we have a strong tendency to lift the head while breathing . . . upsetting our fragile balance. We cooperate with our natural body position while breathing in breaststroke. We fight ourselves while breathing in freestyle. This wears us out quickly and limits how far we can swim. There’s a historical context to the development of Breaststroke as the most popular Endurance stroke, and Freestyle as the default Speed stroke. Here’s a Brief History of Human Swimming. Enjoy. The earliest evidence of man swimming — an Egyptian clay plate, bas-reliefs from Babylon and wall drawings from Assyria, all dating from 5000 to over 10,000 years ago — depicted “dog stroke.” Head up — i.e. unbalanced — and all four limbs paddling. So early man may have gotten his cues from watching animals. Aquatic mammals — seals, dolphins, penguins, manatee — swim in a distinctly different way because they evolved in water. Balanced, streamlined, relying far less on their (water-adapted) limbs, minimizing turbulence. Swimming technique progressed from evolutionary to refined over millenia. Swimming books appearing between 1538 and 1794 in Germany, France, Italy and England showed two ‘formal’ styles — sidestroke and breaststroke. Both permitted restful glides not possible with the ceaseless limb-churning of dog stroke. This evolution in form led to growing interest in endurance swimming, from Lord Byron swimming the Hellespont in 1810 to Matthew Webb swimming the Channel in 1875, both using side/breaststroke. Though some speed records were noted, the public seemed more excited by feats of endurance than speed. While Europeans stayed with gliding strokes, natives of the Americas, West Africa and South Sea islands had developed an overarm stroke with an up-and-down kick, a forerunner of Front Crawl. Still, crawl stroking exerted an increasing pull and from the 1870s to 1900s an evolution from Trudgen to Australian to American crawl took place with speed records improving dramatically. Charles Daniels swam 100 yds in 54.8 sec in 1910 — a time that only a tiny minority of humans can match a century later. There was little further evolution in the crawl for nearly 90 years — until Matt Biondi and Alexandre Popov opened eyes with a more balanced (head down) and streamlined (longer strokes) style in the early 90s. But for most people, front crawl was essentially unchanged for the entire 20th Century. Everyone recognized it as the best way to swim a short distance fast and therefore coaches used it heavily in training competitive swimmers. While many self-coached swimmers were able to learn a ‘sustainable’ form of breast or sidestroke, without formal coaching and grueling workouts, few could swim crawl for distance. 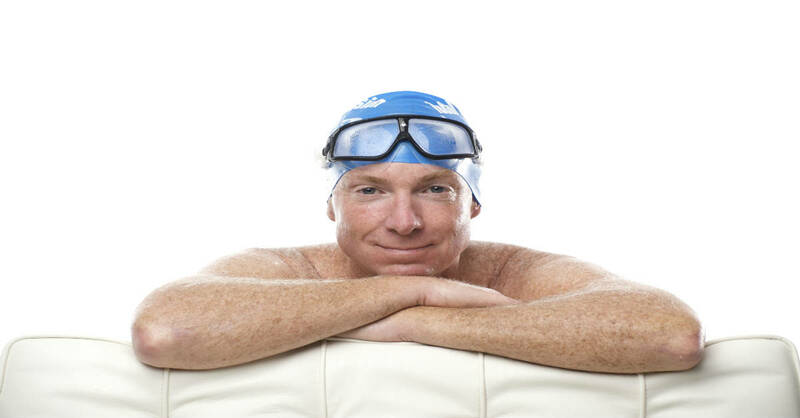 It wasn’t until TI — responding to large numbers of ‘adult-onset swimmers’ (mainly triathletes) who wanted to swim for distance, faster than was possible using breaststroke — developed a revolutionary approach to learning technique, mastering Balance and Streamlining skills first that a new and formal adaptation of crawl for distance swimming emerged. Balance enabled the comfort of breast/side strokes and a much more leisurely — i.e. sustainable – stroke rate. Call it the swimming equivalent of the ‘walking/slow-jog option’ available to runners. Streamlining allowed for far greater speed potential than breast- or side-strokes, which was important because many TI students planned to swim in races, not just for fitness. In recent years, many non-TI coaches and programs have copied our language, ideas and – to some extent our techniques. But it seems self-evident that the ‘revolutionary’ adaptation of crawl from a stroke that allowed short-term speed for many, but long-term endurance only for the few, was historic in nature. I love reading your blog. I try to apply the same principals I learned through TI in other aspects of my athletic persuits and life in general. Freestyle swimming is without a doubt a problem solving activity. I am writing this while down in Puerto Rico after the 70.3 Triathlon. A student of mine signed up for it last year without never doing one before and without having any idea how to swim. He contacted me in Nov. 2010 to learn TI. We became friends and I decided to accompany him through the race. Even though I had to stop a number of times to wait for him and a few times chasing after him when he swam off course he still finished in under 45 minutes with all the energy to bike 56 miles and run a half marathon. We had a blast! TI is revolutionary in that if I or my student told someone he when from not being able to get across a pool to swimming 1.2 miles in open water without a wetsuit they probably wound’t believe us. Oh well. I wish you well and look forward to hopefully coming up to New Paltz this summer. And just think of the new Sense of Possibility he has gained from learning to swim, then completing a 1.2-mile open water swim without a wetsuit – and his first 70.3 race in under six months!